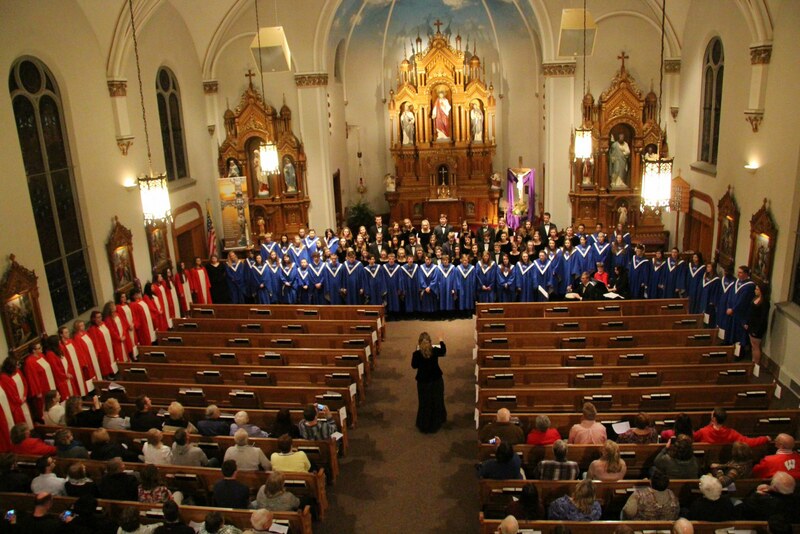 Concert Chorale started the concert by singing "Imbakwa," "The Race is Run" and "Inscription of Hope." 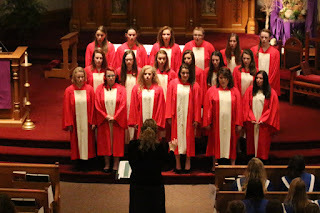 Treble choir, comprised of freshman girls, sang "The Spirit of a Child," "Dona Nobis Pacem" and "Can You Hear." 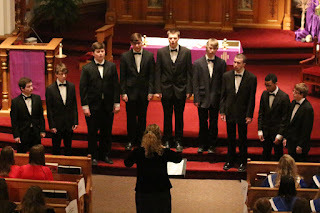 Vocal Jazz performed "Pie Jesu" and "Love is Little." 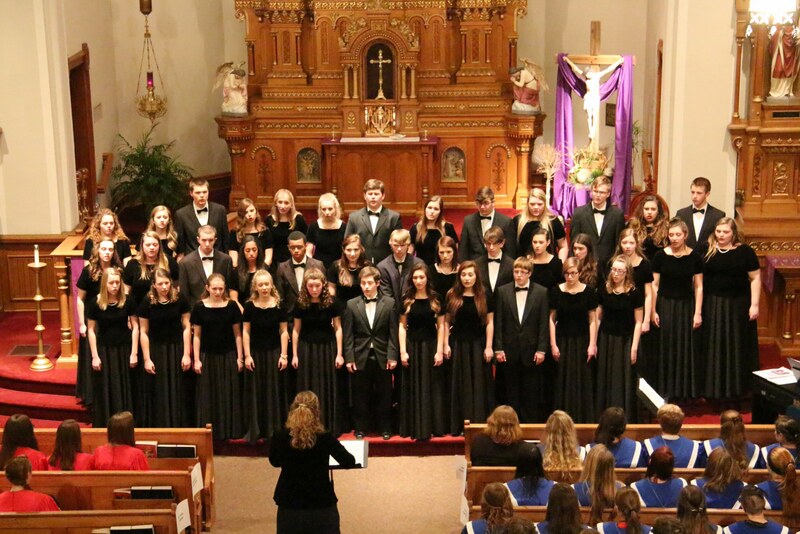 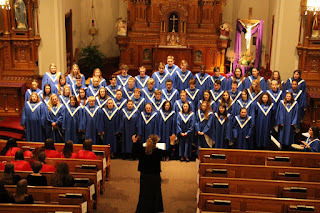 Chamber Singers, Slinger's auditioned co-ed choir, sang "Prayer of the Children," "Peace I Leave With You," "Ave Maria," and "All Things Bright and Beautiful." 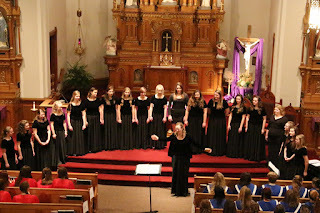 The final song was accompanied by Ms. Herther. 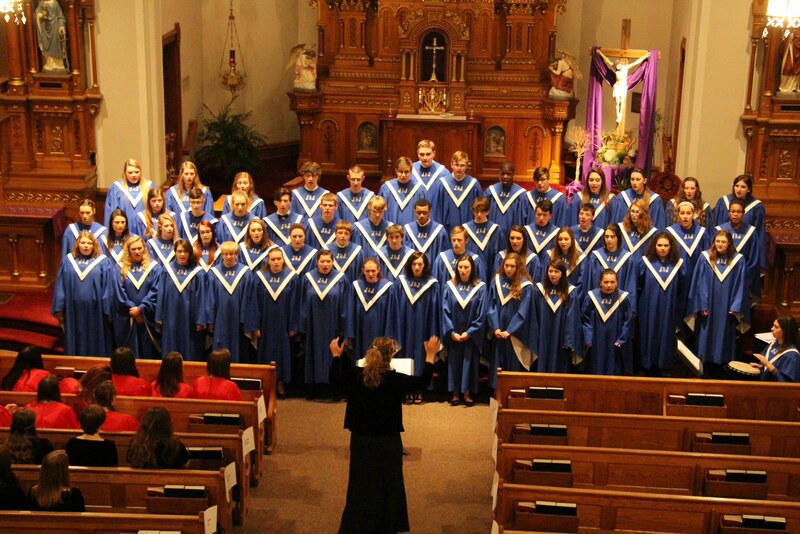 All Slinger Choirs closed the concert with a group performance of "There is Peace." 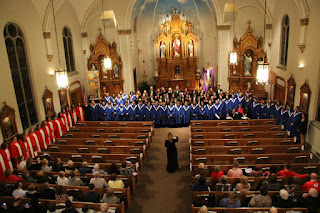 Men's A Capella sang "Adoramus Te" and "Hark I Hear the Harps Eternal" for there first St. Peter's performance as an official choir.